to a brighter future tomorrow. Did you know that every time you shop on Amazon, they will donate a portion of the purchase price to Nevada Homes for Youth at no cost to you? That's right! All you have to do is click and let the shopping fun begin. Did you know that we offer classes as well? 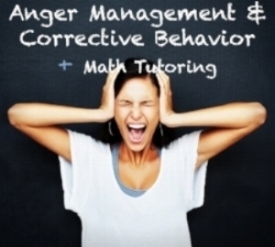 Once a month we offer a course in Positive Parenting and a course in Anger Management & Corrective Behavior at the University of Nevada, Las Vegas campus. The course is taught by NHY's Executive Director. Reserve your seat now! We're so excited to announce our new partnership with Lyft! Using the NHY promo code: NVHOMES4YOUTH16 you can get $50 in FREE Lyft credits when you take your first FREE Lyft ride. Simply click below to download the Lyft app on your phone, enter the promo code, and request a ride! "You changed my life, filled me with hope and the desire to make a difference...I was heading down the wrong road but you stopped me, allowed me time, structure and the patience to figure it out!"